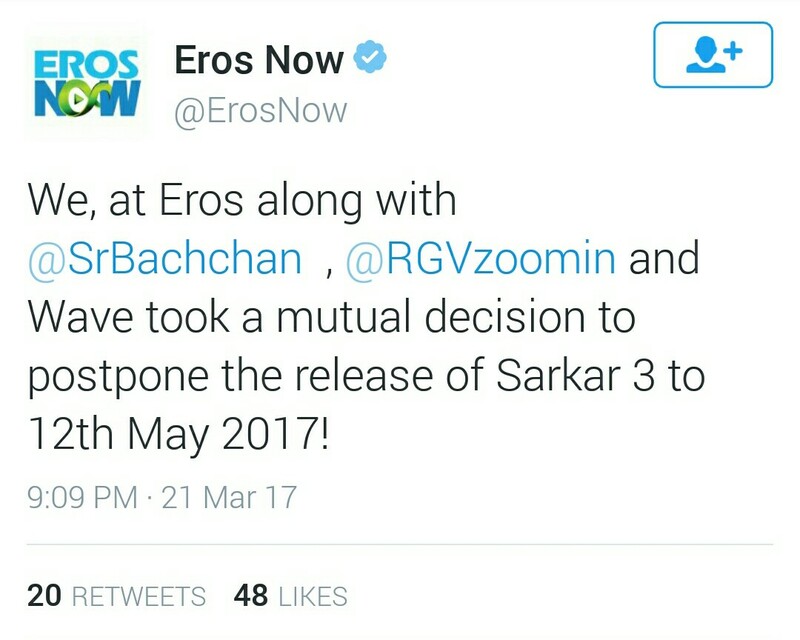 Ram Gopal Verma directed “Sarkar 3” has been postponed to May 12. It was supposed to released on April 7, but due to some post production work it has been postponed. Movie has already hitting the internet with it’s trailer. “Sarkar 3” based on Indian politics and starred Amitabh Bachhan, Jackie Shroff, Manoj Bajpayee and Yami Gautam in lead roles. Eros who is the distribution partner of “Sarkar 3” has announced about the release date of movie on twitter. Movie will join the clash moment with “Jagga Jasoos” and “Meri Pyaari Bindu”.